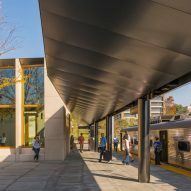 Thin sheets of metal cover a waiting area and a convenience store at this train station in Princeton, New Jersey, by American firm Studio Rick Joy. 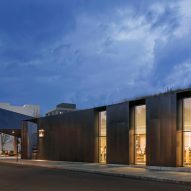 Princeton Transit Hall comprises two buildings and an outdoor plaza, which together form a rail station for accessing the New Jersey town and Princeton University. 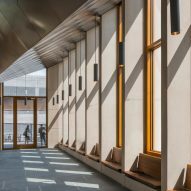 Designed by Studio Rick Joy, the complex measures just over 10,000 square feet (929 square metres) and provides shuttle service to Princeton Junction Station via a small commuter train known by locals as the "Dinky". 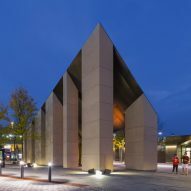 The complex features a notable slanted, blackened steel roof design atop a rectangular volume that spans 2,240 square feet (208 square metres) to form a central station. 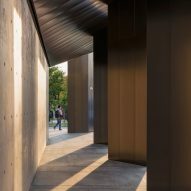 The building is wrapped in a series of concrete columns that ascend gently in height. 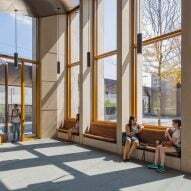 Irregular in width, these pillars are interspersed with tall windows that bring sunlight inside to the waiting area. 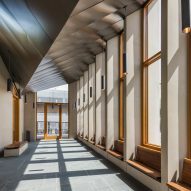 The dark roof sweeps up to a peak at the front entrance, with a distorted steel roof design also visible inside. White oak framing the windows adds warmth to the otherwise bare space, which is completed with built-in walnut benches. 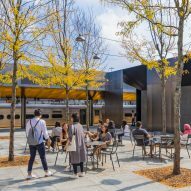 Bluestone pavers line the floor of the waiting room, and carry through to an outdoor plaza and the rail platform. 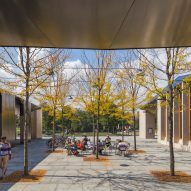 Lights are strung over the patio, where trees, bike racks, and cafe tables and chairs are also found. 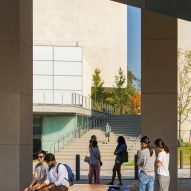 This outdoor space links to a covered walkway and a larger concrete volume topped with a green roof. 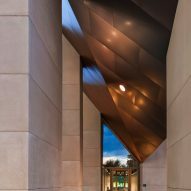 Spanning 8,330 square feet (774 square metres), the building contains a Wawa convenience store and bathrooms. 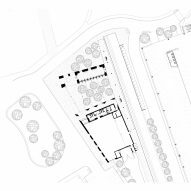 The second building relates to the waiting station's construction with the corresponding use of steel, seen in its roof and pillar designs. 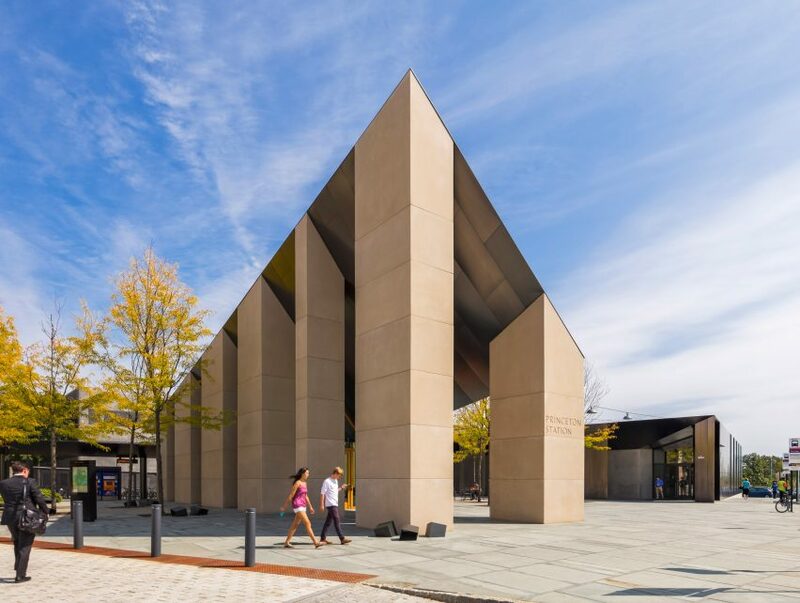 Princeton's transit station joins a handful of other newly completed projects in the city, many of which are buildings for Princeton University – one of the USA's oldest and most prestigious higher education institutions, and part of the Ivy League. 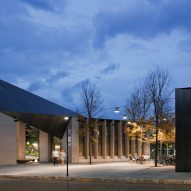 Close to the station is an arts complex built by Steven Holl with a glazed facade, while KPMB overhauled a gothic-style educational building with a re-worked entrance and atrium. Based in Tuscon, Arizona, Studio Rick Joy has also recently built a pale-toned holiday home overlooking the Carribean Sea in Turks and Caicos. Photography is by Jeff Goldberg, Esto.